Minimum age varies. Adults: please contact info@uscycs.org regarding class availability. 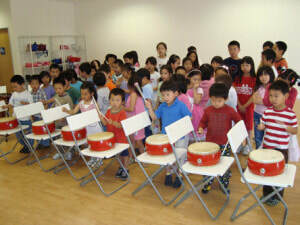 Each student can register for one instrument and/or Chinese percussion and/or Children’s Choir. Registration is not complete until the registration fees paid. Already registered but still need to pay for the registration fees? Limited. Size varies depending on instruments. Placement to class is first come first serve after registration completes. In general two sessions are available and class assignment is primarily based on student’s age. The age requirement listed below is a guideline to group students with similar ages together. If student’s age and the age requirement is a few months different, it is acceptable. 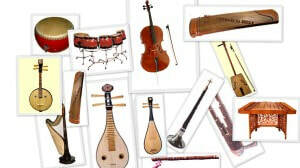 Please see our instruments section for an introduction on the different instruments. 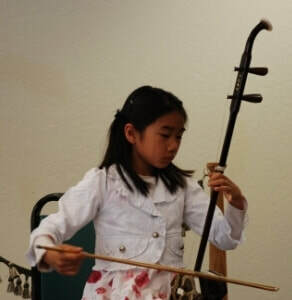 See videos on Youtube on performances on the various Chinese instruments. Avoid switching instruments after the first day of class as we may not able to get the instrument for you. One registration allows students to select one instrument and/or Chinese percussion. For example, students may select to enroll in erhu class only, or erhu class and Chinese percussion, or Chinese percussion only. 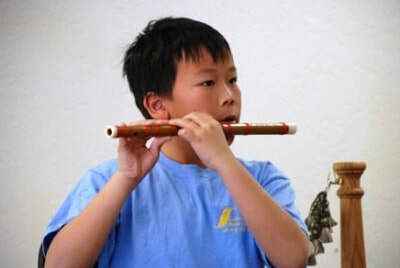 Each student is required to have his or her instrument for class participation (except Chinese percussion where drums will be provided during class). Students who do not have instruments are recommended to rent or purchase from CYCS. From past experiences, many instruments purchased elsewhere do not meet up with the quality expectation. For all instruments (Chinese & Western instruments), rental or purchase must be indicated during registration time so instruments can be prepared in advance. All instrument rental require a credit card and driver license. Rental fee is $80 for 2 months. Students may take instrument home for practice. Rental fee is payable at the time of registration. If CYCS is unable to get the instrument, rental fees will be refunded in full. If students are interested in continuing and they decide to purchase the instrument, the rental fees already paid may be subtracted from the purchase price of the instrument as long as the purchase is on or before 8/11/2019 (Sunday). Students should take good care of the instruments. Any broken strings or parts that need major repair will be charged separately. Instruments can be rented or purchased from C&L Music (510-252-9768). If renting an instrument, students do not need to contact C&L music as long as the rental is indicated in the registration. Two credit cards and a driver license are required to rent an instrument from C&L Music. There is a three-month minimum rental. Monthly rent occurs upon completion of the three months. Up to 80% of the rental credit can be applied to the purchase of the instrument. All rental credit is forfeited upon return of the rental instrument. Students will be required to bring their own music stand to class. Music stand can be purchased in any music stores. In each class, we will need one to two parent volunteers to be the class parent assisting teacher copy music sheets, set up chairs, etc. 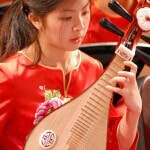 Learn from some of the finest professional Chinese instrument masters. See instructors info. Students will have the opportunity to perform with other students in the summer recital on 7/21/2019. Interested students may continue to learn the instruments in the Fall program starting in September 2019. See instrument class program. A brief audition will be conducted at the end of the summer session for students who are interested to join the year-long program. Audition schedule will be announced. Scholarships are available for zhongruan, sheng, and suona students in Fall season. Develop motor skills through acquiring playing techniques of the Chinese traditional instruments. Strengthen listening skills, concentration, and discipline and reinforce teamwork and cooperation through playing music with other students. Equip children with basic skills for self-expression and encourage creativity. Check out the FAQ section for some most commonly asked questions.